When it comes to the conduct, Indian railways are utterly poor. Be it about the general railway services like food, amenities or time, everything always ends up at being at risk. Though the Railway minister Suresh Prabhu agreed to resign for the position blaming himself, people didn’t leave a stone unturned in criticizing him for the outcomes. 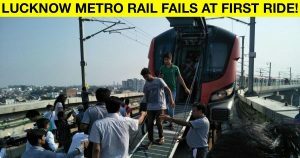 Well, the same has happened with the Lucknow’s much awaited Metro. 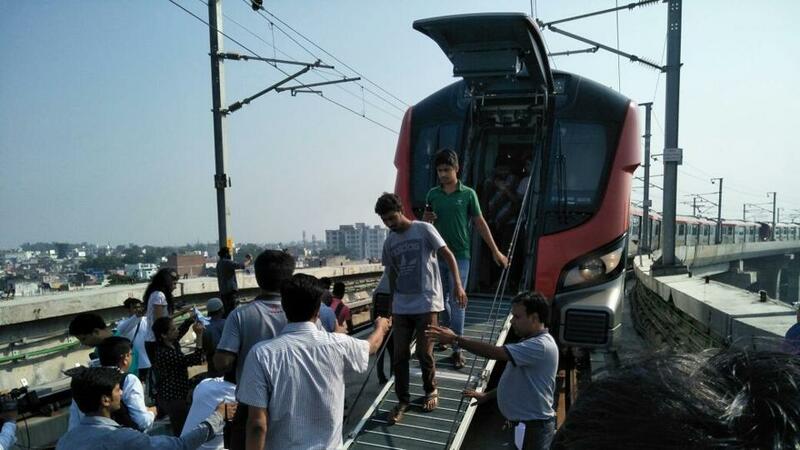 The incident took place on Wednesday morning, over 100-odd passengers of the first commercial Lucknow Metro ride were probably all set to take selfies and post them happily on various social media sites. In all that excitement, what they most definitely didn’t expect was that they would have the opportunity to exit from the metro through the driver’s cabin. To everyone’s surprise, the metro took a halt in the middle of the journey. It is believed that the technical snag is the reason behind breaking down. The passengers were stuck inside the train without light or air-conditioning for over an hour. They were later made to exit through the emergency door. 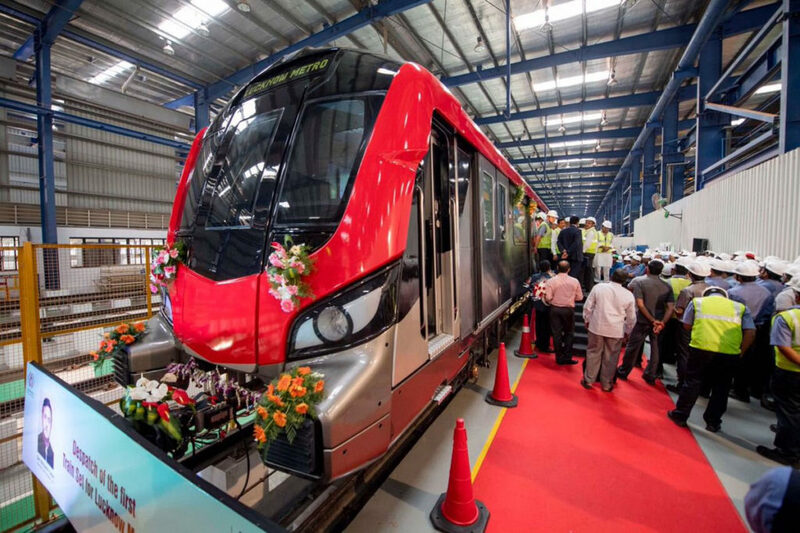 The incident happened a day after Union Home Minister Rajnath Singh and Uttar Pradesh Chief Minister Yogi Adityanath jointly flagged off the commercial run of the Lucknow Metro, and the current CM engaged in a Twitter spat of sorts, trying to take credit for the “successful” completion of the first phase of the Metro rail project. And who will take credits? It added that all the 101 passengers were evacuated from the emergency exit door of the train and taken to Durgapuri Metro station and then to the Transport Nagar Metro station from where they exited.